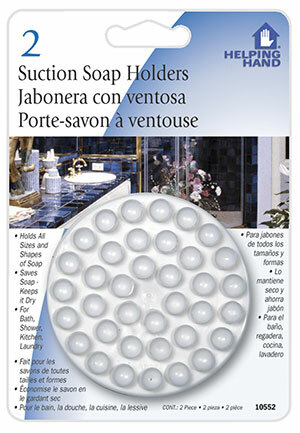 The Twin Pack, holds soap on the wall of a shower, side of a tub basin or sink. Ideal as a plate holder or bowl anchor for children’s dishes. Holds doggie dishes to any slick surface. Anchors mixing bowls firmly to counter while mixing. Many marine applications, keeps glasses or cans from sliding plates and bowls hold where placed. 2 Per pack in white.